Up to 50% OFF Pre workout Sale at Muscle and Strength. 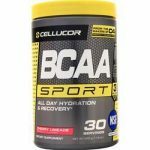 Buy one Cellucor Alpha Amino BCAA (30 serv ) & get one free for $19.99. SUPPZ.COM is running a sale on the dedicated nutrition BCAA Sensation which gets you one the best looking gym SWAG out there (The DN Water Jug). This promo brings the total price for the combo to $29.99, Even better for a limited time Coupon code ‘FDN6‘ shaves another 6% and brings your total to $28.20. Add the BCAA to your cart (Jug will be added automatically). Shipping is free over $79 (Check out the rest of the deals on Suppz) and $5.95 otherwise. 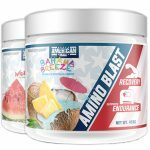 Supplement Hunt is offering 2 x 30 Serving American Made Amino Blast for $15.99. Use coupon blast2 during checkout. You can choose 2 different flavors.